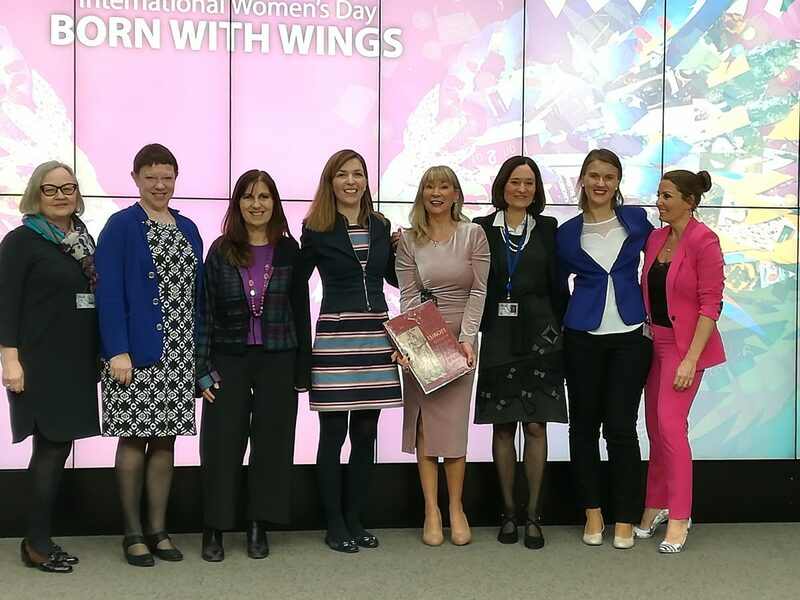 This year’s conference at the General Secretariat (the body responsible for assisting the European Council and the Council of the European Union) was entitled ‘Born with wings’. The topic was self‑esteem and the way it translates into assertive behaviour at work, especially from a gender perspective. Research has shown that behaving assertively, i.e. expressing our thoughts, feelings and beliefs in a direct and honest way while respecting the needs and rights of others, has a significant impact on career success. What prompted us to choose this topic? Even at the GSC, where we have mechanisms in place to encourage equal treatment and equal opportunities for women and men, many women find that behaving assertively still doesn’t come naturally to them. They often struggle when it comes to expressing their thoughts, feelings or opinions, making proposals or setting boundaries, especially in male-dominated environments. They may therefore come across as less interested and less capable, and thereby lessen their chances of advancing in their career. Why do women allow their voices to be stifled? Or even worse, why do they stifle those voices themselves? From childhood we have repeatedly been told that nice girls speak softly and only when asked, without interrupting other people or raising their voices. Traditional gender roles are imposed on us from early childhood, so gradually and so imperceptibly that these self-defeating beliefs become second nature. Nowadays, in the work environment, you can still hear people say that a woman should not have a ‘strong personality’ but instead should be ‘ladylike’, submissive and accommodating. She should seek harmony at all costs, even to the detriment of her own interests. She should not express anger, speak loudly or appear powerful. Double standards and stereotypes at their best. Consequently, women are still underrepresented in management and in all areas of society. The Equal Opportunities Office at the GSC seeks to remedy this situation by encouraging and preparing women to apply for managerial posts, with a view to achieving more gender balance in management. The GSC also acknowledges that inclusion and diversity are an integral part of its core values and seeks to promote these values through various measures. What can be done about women’s lack of assertiveness? Our keynote speaker Paula King, Executive Coach and Director of Kingstown College, affirms that we have the power to shape our own destinies and to face up to and overcome any shortcomings. We can reprogram our brains and reframe the limiting messages they sometimes send us (e.g. ‘You are not good enough’). She explained that we can do this by embracing positive messages and creating a positive self-image, and provided some tips on how to do so. Her main message can best be summed up in the words of Oscar Wilde, the famous Irish poet and playwright: ‘Be yourself. Everyone else is taken’. Paula further explained that there are no ready-made solutions, no ‘fake it until you make it’. No amount of comparing or competing with other people will get us there; no copying of other people’s strategies or behaviour will ‘do the trick’. Paula’s speech was a powerful invitation to be ourselves, to be genuine and authentic, and to lead our lives from within. And lastly, Paula urged women to help and encourage each other along the way. “If one experienced woman can mentor at least one younger woman and help her develop her potential, a lot already will have been accomplished”, she concluded.